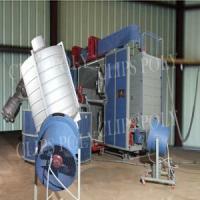 We are a technology driven Manufacturer and Exporter Rotomoulding Machine. Rotomoulding Machine is designed for efficient and speedy performance at minimum operating cost. 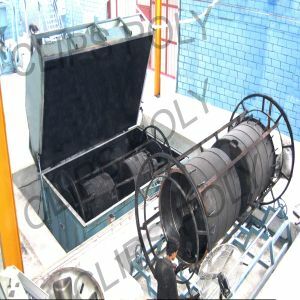 Our Rotomoulding Machine is easy to use and maintain as well. The robust construction of Rotomoulding Machine makes it suitable for adverse working environment. The Rotational Moulding Process is a high temperature, low-pressure plastic forming process that uses heat and biaxial rotation to produce hollow, one-piece parts. Heating the mold while it rotates, until all the polymer has melted and adhered to the mold wall. The hollow part rotates through two axes at different speed , to avoid the accumulation of polymer powder .The oven temperature and the length of time the molds spends in the oven is critical . 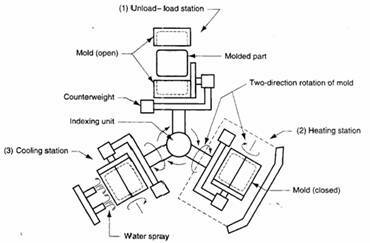 Cooling the mold, usually by fan .The polymer must be cooled till it solidifies and can be handled safely by the operator. 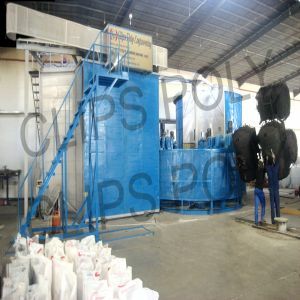 During this process, the part shrinks and facilitates the easy removal of the part from the mold. TSC â�� Series : Independent arm carousal machine with three or four arms. Floor area provides six stations. 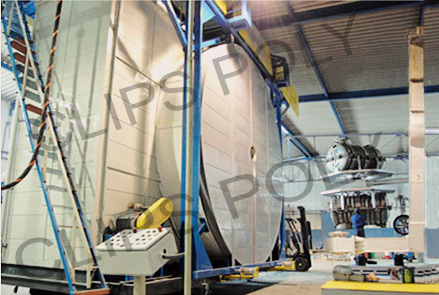 CP â�� Series : Shuttle type moving oven with two, four, or more arms. Floor area provides two stations. FTC â�� Series : Fixed turret machine with three arms. Floor area provides three stations. BS â�� Series : Closed Oven Rock And Roll machines up to 40,000 ltrs capacity . The Rotomoulding Plant with Independent Arm Carousel Machine â�� Series TSC is composed of Moulding Chamber (Stationary) with attatched combustion chamber, Cooling chamber with fog head, Central column and six stations track for conveyors movement, Arms conveyors & Control Electric Panel. The Rotomoulding Plant with Rock & Roll machineâ�� Series BS is composed of Heavy Duty Moulding Chamber with multiple burners placed strategically at bottom with Separate cooling station with high velocity cooling fans with Fogheads & Control Electric Panel.